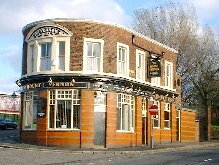 The Merseyside Pub Guide is an ongoing attempt to catalogue every pub in the county of Merseyside, providing a description, location and beer list for each one. The database is regularly updated. It currently lists more than one thousand eight hundred pubs with details of over twelve hundred which I have visited. This is a truly independent pub guide. I do not accept payments or advertising from breweries, pub chains, or anyone else. I never accept free drinks when researching for the guide, in fact the pubs are usually unaware of my visit. 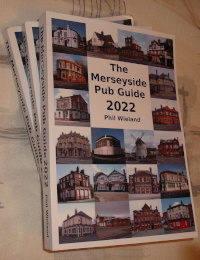 The Merseyside Pub Guide is also available in printed form. The how's and why's of the Merseyside Pub Guide. View the guide, organised geographically. Search by pub name or location. Read and comment on pub news and what I've been up to. Pittsburgh, and the rest of the world.